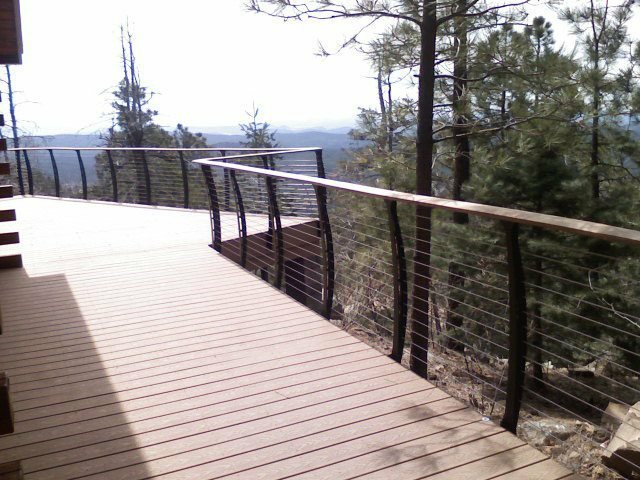 Not far from Saguaro National Park, this Arizona log cabin has a breathtaking overlook of the mountainous forest. 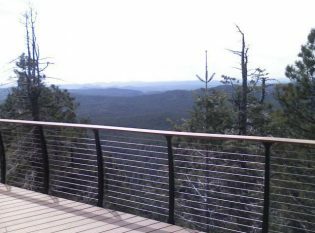 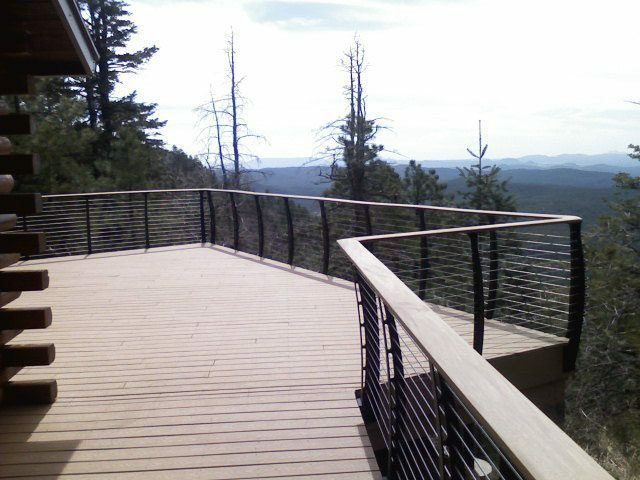 For the large exterior deck, we designed a cable railing system to accentuate the natural view. 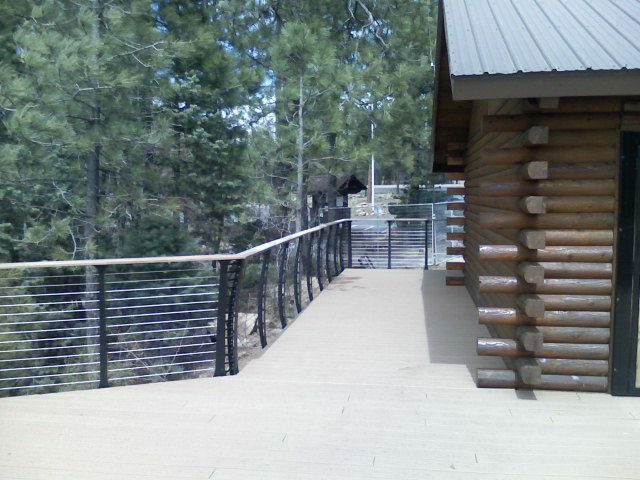 This 42″ tall Keuka Style cable railing has black powder-coated steel posts and a wood top rail.